March is one of the best months to visit Paris. 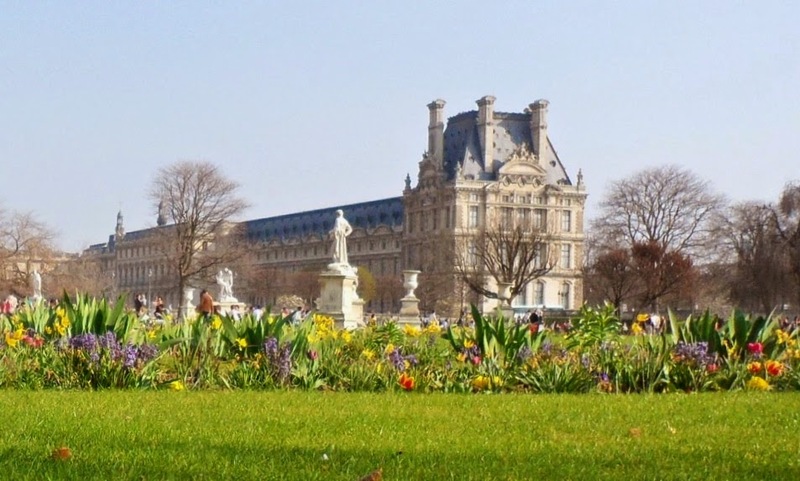 Low airfares, available seats at the Garnier, plenty of space to stroll around in the Louvre - and a good chance you can reserve a table at your favorite restaurant. The weather is variable, but if you can stay at least ten days, the sun will try to join you too. 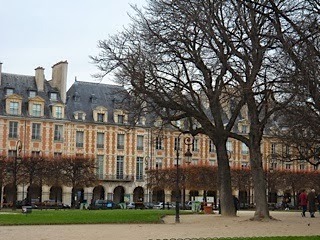 After you have spent a few hours or days in the slender winding streets of the Marais, you will come upon the great square park of Place des Vosges. Its history is well known, and you can and should read the accounts: Henry II, fatally wounded by a lance; Henry IV, who decreed the buildings should all have the same facade - regardless of whether each of his nobles had the funds to pay for real brick; the young women of noble birth who let their suitors spill blood in the square dueling over them; Cardinal Richelieu, master of 17th century court intrigue, who lived at number 21; Victor Hugo, the author of Les Miserables and Notre Dame de Paris, whose home you can still visit at number 6; and many more. Like a permanent stage set for a fairy tale, the Place des Vosges waits for its part in your own larger-than-life story.